My regular quick cycle route takes me across a forded stream, the chase for an obsolete mill wheel. Usually I build speed and scoot along the road through the shallow water, legs held high to avoid the wash. This weekend, it was under three foot deep fast flow. 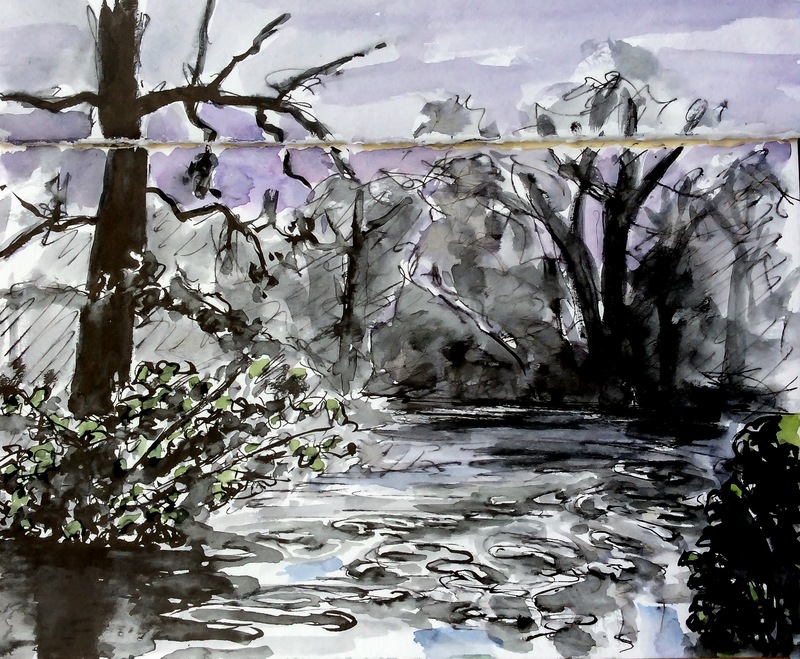 The flood welled smoothly left to right and broke into eddies as it swung back left again, across the road and under the footbridge where I stood and sketched. 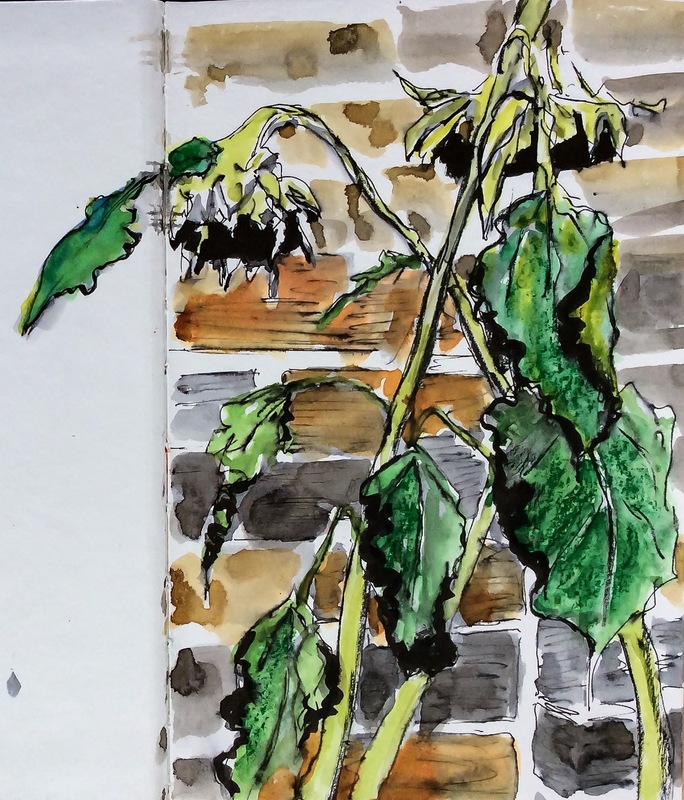 This was a quick sketch of the withered remains of sunflower plants scaling the wall of the café, made on another recent weekend. 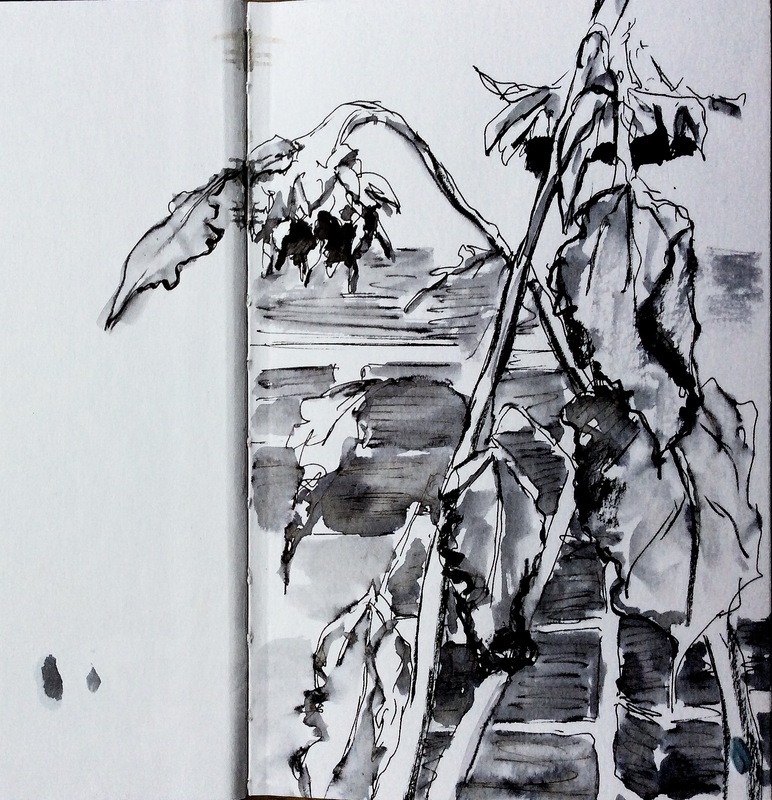 The ink drawing took as long to execute as the wait for a bacon sandwich. I coloured it later. 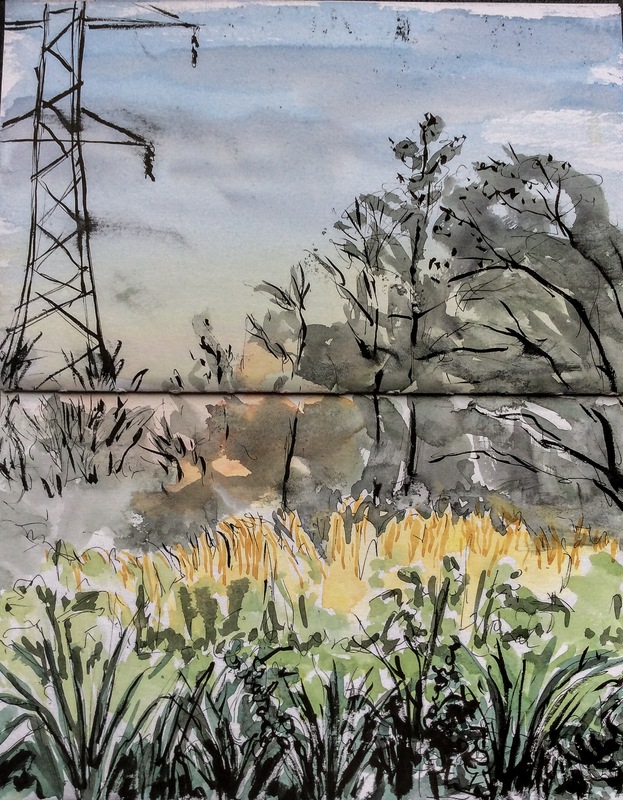 These last few weeks I have grabbed an occasional hour at the end of the day to cycle and catch one sketch as the light fades. 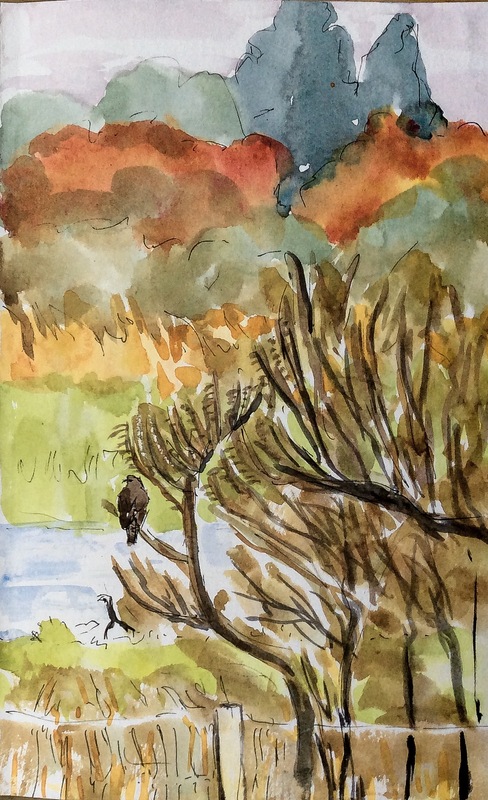 As I finished painting this next one, the dusk had fallen to near darkness. I must have been a strange sight for the couple who walked past. At the tops of trees scattered across the meadows, crows marked the corners of shifting polygons.